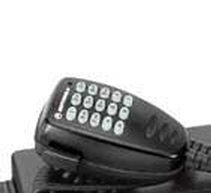 The enhanced keypad microphone includes a full numeric keypad so you can dial phone numbers from the microphone. It also has three customizable buttons that can be programmed with any of the control head features. There are no features about this product.